The international soccer body is handling comms surrounding the recent investigations on its own. 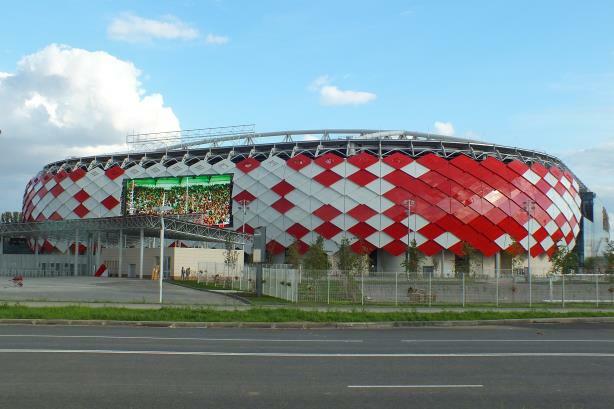 Spartak Stadium in Moscow, a likely venue for 2018 World Cup matches. ZURICH: FIFA’s in-house team is handling crisis communications after the Justice Department indicted 14 people, including nine current and former soccer officials, on corruption charges on Wednesday morning. Authorities in the US and Switzerland, where FIFA is based, also said they were conducting separate inquiries into alleged corruption at the international soccer body. On Wednesday morning, Swiss authorities arrested several FIFA officials with plans to extradite them to the US on federal corruption charges. "We have not hired any communications agency in the past days or weeks," said Thayssa Plum, FIFA media relations manager, via email. She confirmed that the organization’s own communications team is handling the most recent crisis on its own. In a statement, the Justice Department alleged a massive corruption scheme has been in place at FIFA for more than two decades. Hours after top FIFA officials were arrested, Switzerland began a separate investigation into the awarding of the 2018 Russia and 2022 Qatar World Cups. FIFA president Sepp Blatter was not indicted, and the organization’s leadership election will go on as scheduled on Friday, it said. One reason the US is leading criminal inquiries into the matter is that US authorities were investigating officials from CONCACAF, a branch of the organization based in the US, according to CNBC. Defendants also include US and South American sports marketing executives. ABC News reported that US prosecutors got involved because the country’s TV market for the World Cup is among the world’s biggest. FIFA comms and public affairs director Walter De Gregorio held an emergency press conference on Wednesday morning in which he downplayed the arrests of the organization’s officials. However, crisis communications experts largely panned the press conference on Twitter. Late last year, FIFA appointed Weber Shandwick to manage communications for the 2018 Russia World Cup. Other global firms bowed out of the pitch for the account, with one agency executive calling it a "mission impossible brief" due to Russia’s international reputation. Asked if the firm is offering communications support for the organization’s most recent crisis, a representative said via email, "We have been engaged by FIFA to support them on communications around the Russia 2018 World Cup." The firm deferred further comment on the matter to FIFA representatives. The arrests and investigations signal the second reputation crisis in as many weeks for FIFA. Last week, activist groups began pressuring its sponsors to speak out on poor working conditions at stadium sites in Qatar, where the 2022 World Cup is scheduled to be held. The organizations called on FIFA sponsors Coca-Cola, Adidas, Visa, Kia, Hyundai, McDonald's, Gazprom, and Budweiser to decry alleged human-rights abuses, which they equated to slavery. Visa and Coca-Cola both issued statements expressing concern about the matter. However, experts said sponsors were unlikely to drop out of their deals over the controversy.